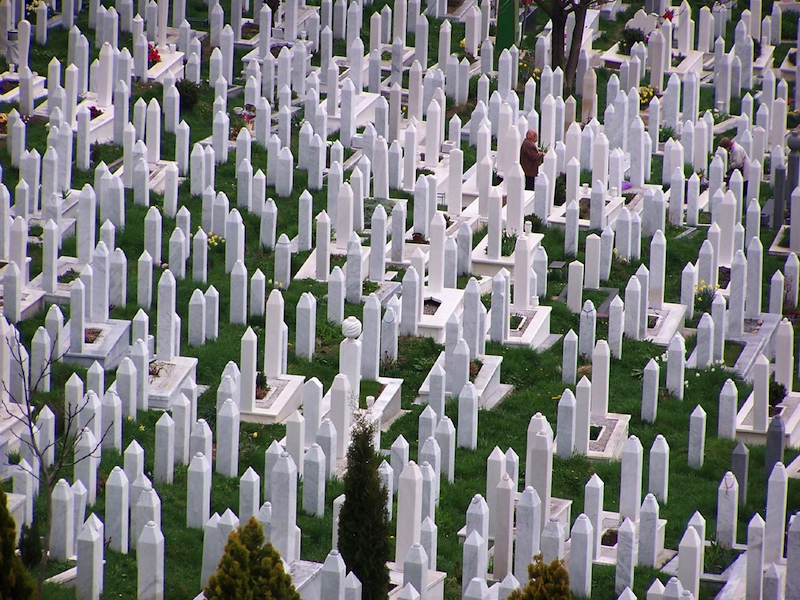 Graves in Bosnia. Photo by NeonMan on flickr. Lamija Tanović grew up in a Yugoslavia with a quality of life that makes today’s Bosnia look like another planet. A time where values such as education, cooperation, and participation were essential. An era that would later give way to a terrible war and a dysfunctional plan to create a new nation in its aftermath. Through it all, Lamija explains, everyone always wished to come home and make a life in this beautiful place. The problem is, today’s Bosnia makes it quite difficult for anyone to have a decent life and as a result, people have left and will continue to leave. Today on the podcast, I spend an hour in the home of Lamija Tanović; educator, human rights activist, politician, and someone with a tremendous amount of life experience, to help explain what Bosnia was then and how it became what it is today. Great episode — thanks Mark! But where’s the flattr button for each episode? I can’t find it anymore (only via your flattr-profile). Extraordinary podcast. Great privilege to being able to listen to this voices from the inside. Amazing what she tells about how the Danes received the refugees between 1992-1995… Thanks! Thanks for the episode! Always good to hear a persons voice about the history they have lived through. Great music choice as well 🙂 Was it traditional/regional?